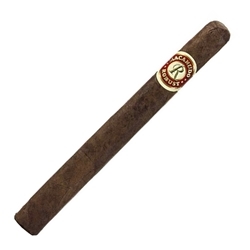 Using a combination of fine tobaccos from around the world added to handmade natural wrappers, Macanudo Robust Baron De Rothschild cigars are aged twice making these cigars extra smooth and perfectly balanced. A truly best-seller from novice to the most experience smoker, Macondo cigars continue their role as cigar smoker’s number one choice. Available here at Smokers Discounts!